“This was an exceptional experience and we were privileged to be trying Indian dishes of the very highest pedigree” Andrew Kay, Food Critic, reviewing my first ever Supperclub. What a lovely experience and such wonderful food. Lovely host, so helpful and welcoming and explaining all the dishes and detail. would love to come again. Really tasty, my favourite was the fish curry!! Another amazing meal. Such a great selection of dishes, spices and flavours. 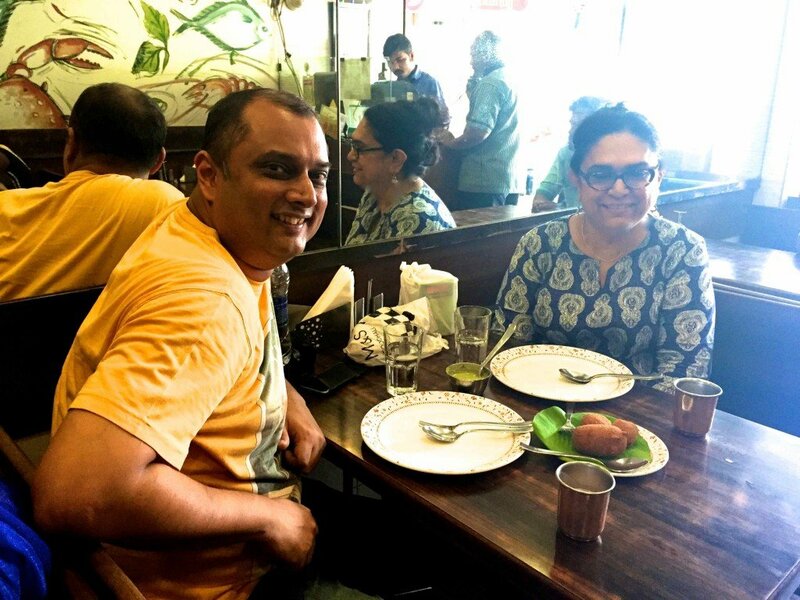 In great company – lovely to chat to others over good food. 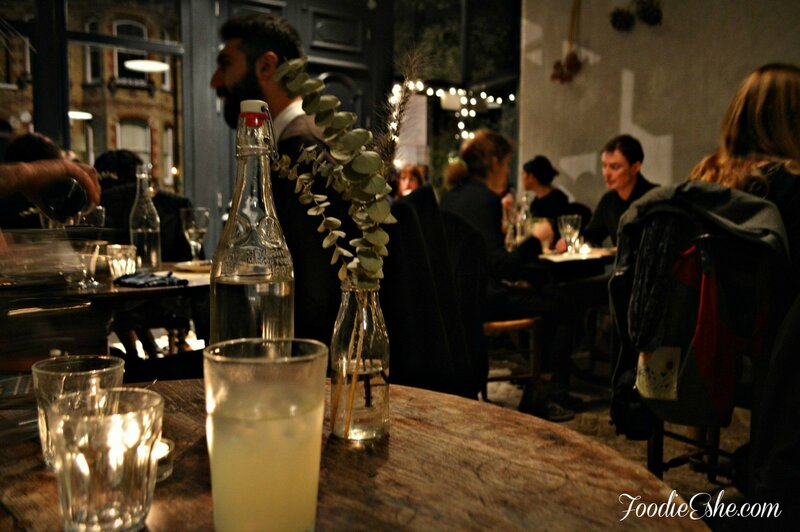 “This is one #supperclub I have been wanting to attend for ages. I have known Priya through Instagram for a couple of years now and have always been fascinated by her food adventures. So this time ensured that the#OldDelhi supper club was not missed. What followed was an amazing gastronomic experience of such delicious food that I wished it would go on for a few more hours.” To read the full review click here. Foodzilla, London. “Fab Food as always. Thank you Priya, see you next time.”, L. Woodland, Hove. “Excellent event Priya. Great food, great company, made some new friends and had some great tasting experiences! Thank you for a super evening!”, Jeff Haynes, Brighton. “Lovely evening at Polygon pop-up last night. Delightful venue and Priya’s Indian food tasty and delicately spiced. Enjoyed every mouthful and particularly appreciated the background she gave to each dish and her visits to every table to check all was OK.”, Sonia Marsh, Hove. “I had friends who dined with you last night, who are particularly knowledgeable and well travelled with Indian food, and they loved it. They say your lamb cutlets were ‘to die for’.”, Lel, Tabl Support Team. 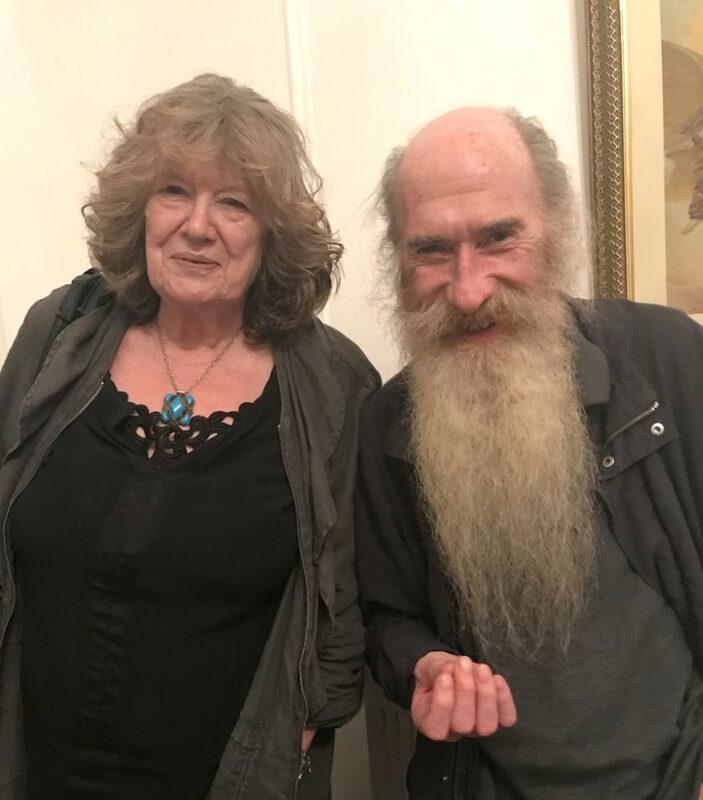 “Moira and I went to the Supperclub on the 21st of June and were delighted with a superb 5 course meal and pleasant company. The food was a subcontinent away from the standard fare served up in your local Indian restaurant and as each course arrived, our host Priya explained the origins of the dish and other interesting information about the herbs and spices that were used. We are definitely looking forward to the next Supperclub.”, Richard Vahrman, Hove. “Priya’s knowledge and passion for food from different regions of India guarantee an interesting menu. Every course is a delight, as Priya describes the history and background of each carefully chosen dish. And of course every dish has been lovingly and expertly created from the best fresh ingredients – Priya prepares every thing herself from scratch. You will have an evening of good conversation and gastronomic delight – I highly recommend it.” Sheila Brookes, Hove. “The care and attention to detail that went into the food and ambience were outstanding. All the dishes were delicious. I particularly enjoyed the green mango, tamarind and mint cocktail that we were welcomed with and the rich and complex spice mix that accompanied the idli and coconut chutney. The fish biriani, pigeon pea and tomato dal and chunky cucumber salad together made an exquisite main course.”, Guest, Brighton. “I had a superb time. The atmosphere of Priya’s massive, mysterious and unconventional Victorian house is magical. The welcome drink adds a sophisticated touch. By sharing the table with other people you’ll have made new friends by the end of the evening. The food is good and the quick blurb about it Priya gives wets your appetite. I wish I had more money to go more often but alas you pay for good things in life! Don’t miss the experience.”, Roberta Piazza, Brighton. “Deccan Tiffin’s Maharani supper club was fantastic. Excellent, gourmet food, a million miles from the usual British curry. Probably the best meal we’ve had this year (including Michelin starred cuisine).”, Mark, Hove. “This Goan feast was a performance of tastes, textures and colours, playing off each other, and making even the best Indian restaurants seem predictable. A series of small dishes, including deceptively elegant Goan beach and street foods, led up to the mains that showed off all the best features of Indian cooking.” Gordon, Lewes. Great turnout for the “Goan” Maharani Supperclub on Saturday the 16th of May. The pork Vindaloo was popular and I had a very happy group of guests overall. So satisfying to hear positive feedback, especially when you have been on your feet all day. Makes it all worthwhile. Deccan Tiffin was born out of a passion for the richness and variety of food in India, and chef owner Priya has been running a series of exciting pop-ups around Brighton & Hove, focused around authentic, regional Indian dishes. There aren’t many experiences that please me more than trying new flavours or food combinations or meeting like-minded foodies with a genuine passion for food. Last night I was invited by Priya from Deccan Tiffin to her monthly Maharani Supper Club where I was able to do all of the above. It was an evening full of exciting flavours, great combinations and inspiring work created from a love for good food. Priya is of Indian decent, spending most of her life growing up in Delhi, but also moved around with her family growing up and has lived in many countries all over the world. Her travelling childhood helped grow her love for different cuisines and flavours fueling a passion for cooking with many different ingredients and using recipes handed down through her family generations. Ive always wanted to meet Kalyan and was delighted when he accepted my invitation to meet for a bite to eat. 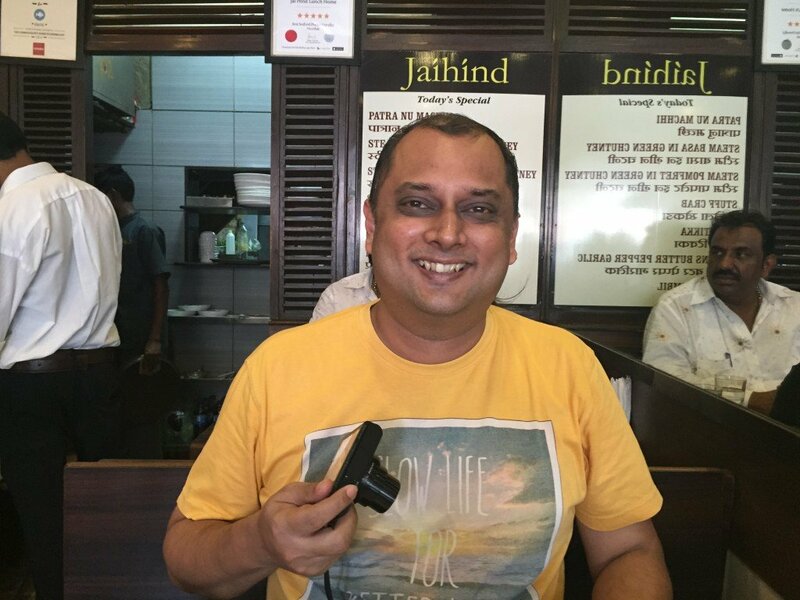 We met in a much loved but very modest seafood eatery called Jai Read the story at the link above. Last Saturday I took a journey across India. Not literally, but through food. I went to my second Tabl pop-up, held at Cafe Rust on Preston Road. (I’m fast becoming a big advocate of the pop-up). The supper club host was a lovely lady called Pyria Deshingkar who was brought up in Delhi, raised by parents from Southern Maharashtra and spent 12 years living in the South Indian city of Hyderabad. caferustpopup2The Maharani supper club was designed to be a truly authentic experience of North, West and South Indian cuisine; the real street food you’d have if you were eating with the locals! As always with Tabl pop-ups,the menu was set so we didn’t choose what dishes we had – but I find that’s all part of the fun! If you have a specific dietary requirement Pyria will contact you in advance and change your dish accordingly to work around this. The venue for the event was perfect. Intimate, warm and rustic with pretty, twinkling fairy lights in the windows. It was really tucked away at the quiet end of Preston Circus, which just added to the wonderfully “secret” and exclusive feeling that these pop-up nights have. Now onto what really matters – the food! Vada Pav – A classic Mumbai streetfood dish of spiced potato cutlets in a bun with fresh garlic, chilli and coconut sprinkle. This vegetarian West Indian dish was Pyria’s mum’s recipe and one of my favorite courses. The seasoning in the potato was excellent. Salty, but just to the right point and with just a hint of coconut in the sprinkle. The sprinkle is the part that really makes this dish so if you try it, be generous and cover the potato cutlets with it. I would happily eat this instead of a meat burger so that’s testament to how tasty this course was. Chana Dal Palak and Puris – Split chickpeas and spinach with lovage and fennel, served with a wholewheat puris. Another West Indian dish and a vegetarian one too. Slow-cooked to infuse lots of flavour and ensure the chickpeas hold their shape. I’m not normally into chickpeas and it’s not something I’d choose on a menu given the choice, but in the name of exploring other culture’s dishes I tucked in and was surprised how flavoursome it was. Chicken Chettinad and Zeera Rice – A South Indian Curry from Tamil Nadu, served with cumin rice. This was really top-notch. The chicken was incredibly moist and had a good fiery kick of spice. The long-grain Basmati rice was done to absolute perfection, not sticky and stodgy but light with each grain separated for the others (a sign that the starch was thoroughly washed away before the rice was cooked). The cumin flavour also came through strongly in the rice adding a lovely depth of flavour. Faluda – A rose flavoured milk pudding with vermicelli, nuts and basil seeds. Both me and my guest weren’t keen on this dish and looking around the room we weren’t alone. It looked impressive and the rose jelly was a beautiful flavour, but the noodles and milk together with the jelly was a bit of an unfamiliar texture combination that even with an open mind I couldn’t quite stomach. This one wasn’t for me. I thoroughly enjoyed the meal and experiencing Indian food how it should be made. The portions were generous with seconds offered on three courses. It was also lovely to meet and chat with Pyria too and hear how she created the amazing Indian cuisine. £28pp is great value for such a unique experience. Oh and the service was excellent! Disclosure: I received one complimentary space at this popup and one I place I paid for myself. However, this has not affected my review which is an honest and impartial account of my dining experience. If you have passed through the ever-evolving Seven Dials recently, you may have noticed a large white tent attached to what used to be the home of Sam’s, a veritable Brighton institution by all accounts. Pass by this same spot late at night and you’re likely to see twinkly lights and smiling faces, and hear raucous laughter and chatter fuelled by the great selection of craft ales on offer. Over the summer, Polygon Pop Up has taken up residence here, providing an event space to showcase some of Brighton’s top culinary talent. It’s attracted some of the big players with exciting collaborations such as Guerrilla Grill doing what they do best, and Plateau providing their exceptional cocktails. But perhaps all the more exciting is that it’s given smaller, independent outfits such as supper clubs a chance to push themselves and share their food with a larger crowd. The space is essentially a blank canvas; one large tent filled with long tables and benches made from recycled pallets (très Brighton), a bar at one end and a kitchen. The biggest let-down being the bathroom facilities; one portaloo, outside the rear of the building, to serve upwards of 40 diners. I’m all up for the communal vibe but I prefer to limit portaloo usage to festivals; at least my senses are usually cider-numbed. Anyway, back to the food bit. Our delightful hostess for the evening was Priya, owner of supper club Deccan Tiffin who had devised a three-course set menu at a very reasonable (albeit slightly baffling) price-tag of £22.72. We started off with ‘Chicken 65 with fresh coconut chutney’. The chicken breast pieces had been marinated then deep fried; they were well spiced, perfectly cooked and garnished with delicious, crispy fried curry leaves. The coconut chutney was indeed fresh, balancing the gentle chilli heat of the chicken beautifully. My one gripe was that it arrived at our table cold, which I’m guessing wasn’t the intention. I’m a firm believer that if food is deep fried, the time between leaving the fryer and arriving in my mouth should be kept to an absolute minimum. Ultimately, the quality of the food is down to the chef, but I think the limited kitchen space at the venue didn’t help. However, having worked on TV sets and photo shoots for several years, I’m very used to eating cold food (you didn’t think that we throw it in the bin when the cameras stop rolling, did you?). Next up was Mutton Pulao: fragrant, lightly spiced basmati rice with a generous helping of mutton. So many people are turned off by mutton, but I’m a huge fan. It has a real depth of flavour that you don’t get with younger lamb, and stands up well against bold spices such as the cinnamon and cardamom in Priya’s dish. Portions were generous (helping to soak up all the lovely local ales) but it would have been nicer to have just a little less rice as the spices were a tad diluted. Served alongside was a fiery, fresh kachumber salad and a delicious pomegranate raita; both perfect counterparts to the pulao. Dessert was ‘Phirni’, a set ground rice pudding flavoured with cardamom and pandan, topped off with pistachios and rose petals. After spending a few weeks travelling around India, I formed the opinion that many Indian desserts and sweets were a fast track to diabetes, such is their sugar content, and so have tended to avoid them. I braced myself for the impending sugar rush, only to be pleasantly surprised. The dessert rounded off the meal perfectly; slightly sweet, gently infused with cardamom and the grassy, vanilla-like flavour of pandan. Luckily I wasn’t force-fed rice pudding or semolina during my childhood (unlike many of my peers), so they remain firm favourites in the comfort food group. Priya’s version created the rare but splendid juxtaposition of being exotic yet delightfully nostalgic. Making the leap from supper club to pop-up restaurant isn’t easy, and there were hints of struggling with numbers or being caught out by the limitations of the venue. However, these were minor niggles that didn’t take away from what was a thoroughly pleasant evening. Priya is clearly an accomplished cook, and is as passionate about sharing her food as she is about cooking it. Ricky, the chap behind Polygon Pop Up mentioned that he’s looking to do more of the same in future, potentially looking to find a permanent venue for hosting pop-ups (ironic, but also makes perfect sense). Keep an eye out for their events and get in there fast as tickets are snapped up very quickly. Polygon Popup ends this weekend on Saturday 29th August. 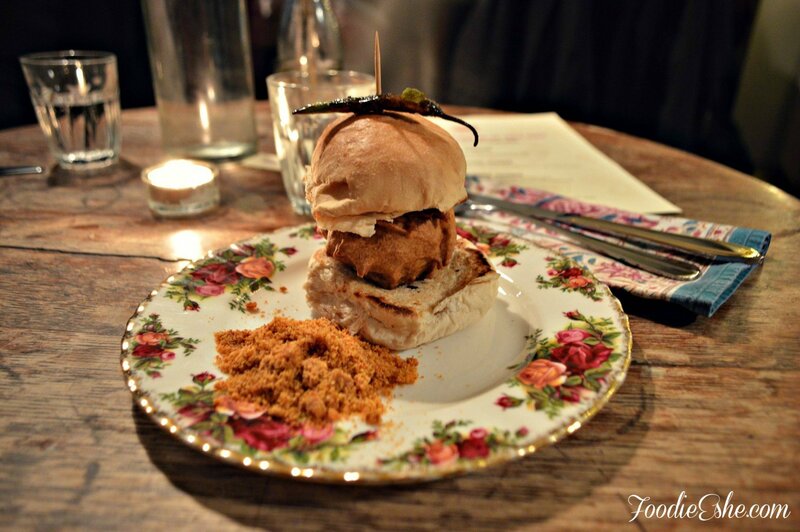 Priya continues to host supper clubs throughout Autumn/Winter. Rich’s food was complimentary, courtesy of Polygon and Deccan Tiffin. Featured and share card image both Deccan Tiffin’s own. 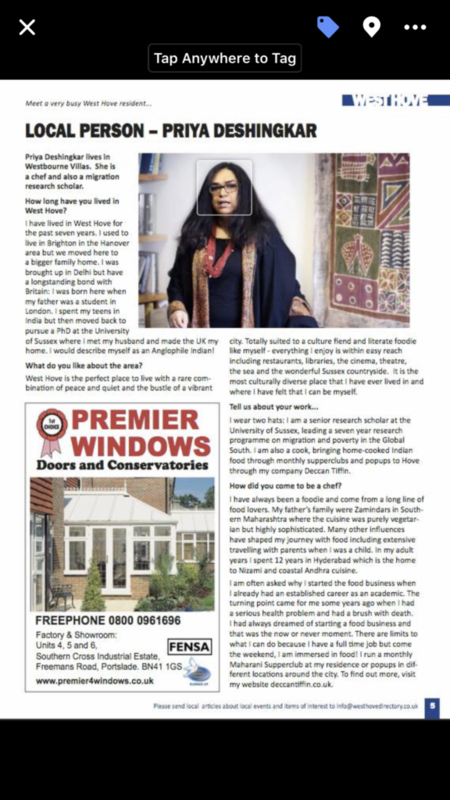 Priya Deshingkar is a busy professional academic but in her spare time she just loves to share her family tradition of enjoying home-cooked, rich and varied Indian cuisine. We were introduced to her culinary skills by another great chef – Kanthi Thamma from Curry Leaf Cafe – and were impressed by her first supper club where she served a five-course menu of delicate, fragrant dishes with intriguing flavour combinations. So after a wonderful evening tucking in to these royal delights we were thrilled when Priya invited us behind the scenes to watch her prepare another of her special dishes – Mughlai Royal Venison Qorma. As she cooks, Priya keeps breaking off to show us ingredients and techniques, encouraging us to taste, smell and feel the different textures. And all the while she’s chatting – sharing the history of the recipes and her own life-long involvement in cooking. The name reflects the days of the British Raj in India. “Deccan is the English word for a large plateau in southern India and is often used when referring to the whole area around Hydrabad. Tiffin is another Anglo-English word for a light meal packed in tin cases – the tiffin box. My aim with the company is to encourage people to try different foods with the authentic flavours of India and to introduce people to home-cooking instead of the commercially produced dishes they may be used to. That’s why I started to blog – so I could share my ideas and encourage them to have a go themselves. Here Priya breaks off again to show us how things are shaping up. Once the onions have been gently fried and moved to one side, the meat is added. The key to this dish is keeping the meat searingly hot and there’s a deep and throaty sizzle from the pan as the hot fat bubbles, mixing with the meaty juices. The pastes and yoghurt are added bit by bit to keep the meat on a high heat, allowing the flavours to be released slowly. And boy did Pork Belly enjoy it! Served with a freshly made Punjabi version of chapati called “phulka” (a light, puffed up unleavened bread) and fresh salad, the dish was superb – spicy without being overpowering, rich with tender chunks of meat – definitely a feast fit for a king.ChapatisVenison qormaWith all that butter involved it was never going to be a dish I could eat, but Priya couldn’t have me going hungry so she quickly whipped up a family favourite – an egg paratha, served with some of her home-made pickle. Simple but delicious.Egg parathaSo how can you get a taste of this exotic cuisine for yourself? Well you can try this recipe or on Deccan Tiffin’s website you can buy Priya’s own sauces, pickles and spice kits complete with recipe cards. If you live in the Brighton and Hove area Deccan Tiffin can cater for your party or you can have a cookery class. 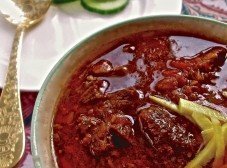 And finally, and highly recommended, watch out for her monthly Maharani Supper Club where you can sample a unique, seasonal menu of several courses with recipes taken straight from the royal houses of India. Disclaimer: We were paying guests at the Maharani supper club. Having enjoyed the food we wanted to find out more.